Welcome to the course Catalogue for the University of Southern California. Click on the links at left to find the answers to all your course, curriculum, school, program, admission, resources and services questions. 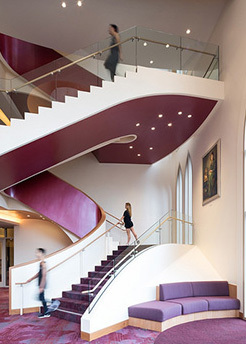 In light of the new forward-thinking construction projects completed in the last decade, the University of Southern California continues to ensure its ability to meet the present and future needs of its dynamic community. The 2016-2017 academic year was no exception as several new state-of-the-art buildings opened their doors to much fanfare. 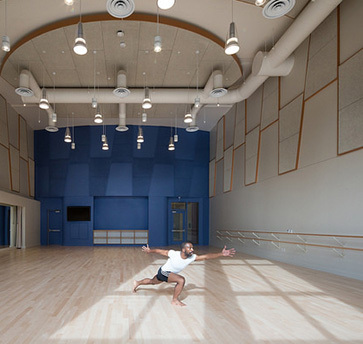 Pictured above, the Glorya Kaufman School of Dance unveiled its expansive Glorya Kaufman International Dance Center with style and flair last fall. Students are now taking care of business at Jill and Frank Fertitta Hall, the new home of the Marshall School of Business' undergraduate program that opened at the start of the fall semester. USC Village, the groundbreaking $700 million retail and residential project, is set to debut at the end of summer — just in time for the new cohort of Trojans. The 190,000-square-foot Michelson Hall, which will house the interdisciplinary Michelson Center for Convergent Bioscience, is projected to open in the fall. 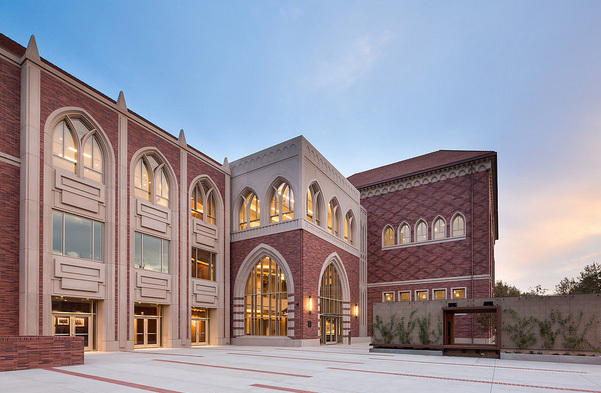 On the Health Sciences Campus, the USC Stevens Hall for Neuroimaging, home to the USC Mark and Mary Stevens Neuroimaging and Informatics Institute, and Currie Hall, a new student residential facility that also offers patient and family suites, both made their debut last fall semester.